Pianist Elizabeth Borowsky has performed in such distinguished venues as Carnegie Hall (New York), Boesendorfer Hall (Vienna), the Beethoven House (Bonn), Strathmore Hall (Bethesda, MD), and the Kennedy Center (Washington D.C.). She has been invited to perform international music festivals including the Concerti di Primavera, International Festival of Music and Architecture; Klavierwoche International, Heidelberg Klavierwoche, Music at the Paderewski Manor, the Maryland Arts Festival, and the International Music Institute and Festival USA. 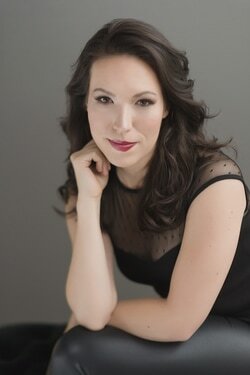 Ms. Borowsky has performed as a soloist with orchestras in the USA, Germany, Poland, China, and Israel including the Israeli Soloists Orchestra, Lublin Philarmonic Orchestra, Polish Camerata, Young German Symphony Orchestra, Tianjin Symphony Orchestra, and Susquehanna Symphony Orchestra. Her live performance of the Haydn D-Major Concerto with the Polish Camerata was broadcast internationally by Pol-Sat TV. Her CD recordings have been enthusiastically received by the public and critics alike. Ms. Borowsky has received numerous awards and prizes including the International Young Artists Award, Heidelberg Grand Prix, International Music Talent Award, Kosciuszko Foundation Graduate Scholarship, Pro Sinfonika Award for Promoting Classical Music Among Youth, Chopin Foundation of the United States Scholarship for Young Pianists, Maryland International Education Association, Merit Award from the U. S. National Foundation for Advancement in the Arts, and the Cultural Achievement Award from the Middle East Consortium of the International Friends of Music. In 2006, she was among the pianists invited to participate in the International Chopin Competition in Warsaw and was awarded the Acte Preable Prize for Outstanding Interpretation of Chopin's Music.Most recently, she the Rhein-Neckar Kulturstiftung (Germany) awarded her an Artist-in-Residence grant to live and perform at the Dilsberg Castle. Ms. Borowsky is a skilled and sensitive collaborative artist. She has frequently performed with renowned soloists. She was invited by UNESCO to perform with violinist Erick Friedman and soprano Teresa Kubiak at the International Conference on Local Music Heritage in the Age of Globalization. Ms. Borowsky comes from a very musical family. Her mother (Cecylia Barczyk) is a renowned cellist and her father has studied the function of music in society. She began her piano studies at age four. At seven, she performed her debut recital in Baltimore and by the age of nine, she was received enthusiastically by audiences in Bulgaria, Poland, and Germany.The oldest of three children, she frequently performs together with her brother (violinist Emmanuel Borowsky) and sister (cellist Frances Grace Borowsky). Together, they are called "The Young American Virtuosi." In 2004, they were awarded the Erick Friedman Prize for Outstanding Young Musicians and performed their New York debut recital at Carnegie Hall. In 2008, they were invited to perform Pre-Olympic concerts in China under the theme "One World, One Dream, One Family." Ms. Borowsky's enthusiasm for music and people is clearly visible both on- and off- the concert stage. She is an enthusiastic teacher and gifted mentor who enjoys sharing her musical experiences with young people. She has given masterclasses in Europe and Asia, and has been on the faculty of the International Music Institute and Festival USA since 2003. She has also taught at Indiana University - Bloomington. Ms. Borowsky has earned a reputation as a talented composer. She has composed and published music for piano, violin, cello, trio, and string orchestra. Her work, "Let Us Go to Jerusalem, the City of Peace" (dedicated to the youth of the Middle East) was premiered by the King David String Ensemble of the Jerusalem Symphony Orchestra at the Embassy of Israel in Washington D.C. on February 6, 2003. She was honored with the Jerusalem Medal. A skilled improviser, Elizabeth sometimes concludes concerts with an improvisation.